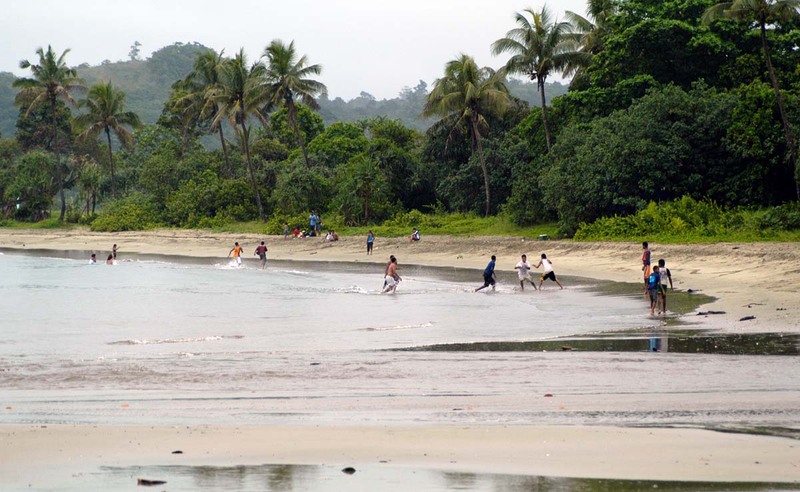 A beach along Fiji's south coast slated for a resort development: Vulnerability of livelihoods and community. This page provides information specifically related to vulnerability (including risk, disasters, and sustainability), rather than general information such as travel details, a country profile, all government websites, or history. The information provided is not intended to be comprehensive, but is indicative of the vulnerabilities which Fiji experiences and how sustainable solutions might be developed and implemented. MÃ©heux, K. 2007. An Evaluation of Participatory Damage Assessment Policy and Practice in Fiji. PhD dissertation from the Physical Geography Department, Macquarie University, Sydney, Australia, download the full text (5,297 kb in PDF). Influenced by the field of development studies; disaster management practitioners are embracing the language of community participation. Participation has been adopted by the disaster management community at large as an important element of itâ€™s initiatives. Yet there is a striking lack of critical literature on participation in disaster management. Analysis of community participation in rural development projects has highlighted the range of interpretations of community participation and the need for participatory approaches to be analysed and tailored to suit specific projects. 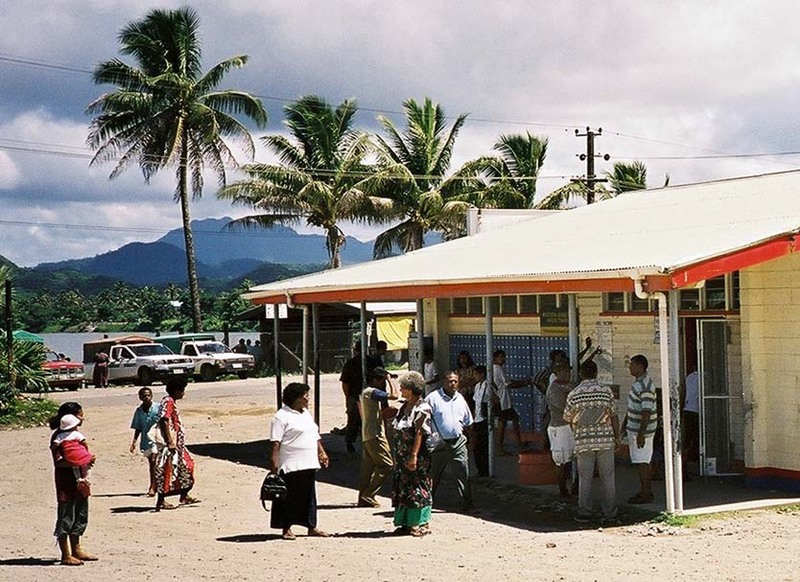 Using a broadly ethnographic approach, incorporating interviews, questionnaires, participant observation and document reviews; the experiences of rural communities and government personnel charged with conducting assessments of damage are analysed to develop a critical understanding of community participation in post-disaster damage assessment in Fiji. The Government of Fiji plans to formalise community participation in initial damage assessments as a means of encouraging community empowerment, self-reliance and ownership of disaster management. This research questions whether the proposed community participation has the potential to meet government objectives and identifies a number of conceptual and operational challenges to meaningful participation. At a conceptual level the research finds that whilst there is potential for the type of participation proposed (â€˜consultationâ€™) to satisfy utilitarian imperative, increasing efficiency, it has limited potential to achieve the anticipated transformative outcomes of community empowerment and self-reliance. At an operational level challenges affect communitiesâ€™ capacity to participate and also governmentâ€™s capacity to facilitate participation. These challenges include community willingness, availability and ability to participate, and the centralised disaster management structures of government, combined with weak legislation, contradictory political and policy messages, a perception of communities as incapable and limitations on disaster management training. These challenges are used to inform the development of a strategy for participatory damage assessment in Fiji which aims to balance the need for rapid data provision with the need for effective and meaningful community participation. This research suggests that if the benefits of community participation in damage assessment are to be realised, participation must be negotiated and based upon dialogue and partnership between government and communities, rather than a simple devolution of responsibility to communities. Along Fiji's south coast: Participants in damage assessment policy and practice? Jaatinen, T. 2011. Educators Tackling Climate Change: Perceptions and practices from Fiji. Master's dissertation from the Faculty of Education, University of Oulu, Finland, download the full text (695 kb in PDF). This Master's Thesis was conducted to learn about the ways in which educators address climate change in Fiji. Recent research in environmental education has focused on studentsâ€™ conceptions on global warming, climate change and environmental crisis. This Master's Thesis studied climate change and adaptation from the perspective of educators. The aim of the Thesis was to provide theoretical and practical insight about climate change adaptation for educators and to investigate educational initiatives which raise awareness and build communitiesâ€™ capacity to undertake adaptations. The main research question asked how educators in Fiji perceive and address climate change. The study attempted to investigate what kind of risks and causes of vulnerability educators identify, what kinds of perceptions educators have about the current adaptive capacity and in what ways climate change has been addressed through education. This qualitative research applied elements from ethnographic research tradition and was inspired by the methodology of community-based vulnerability assessment. 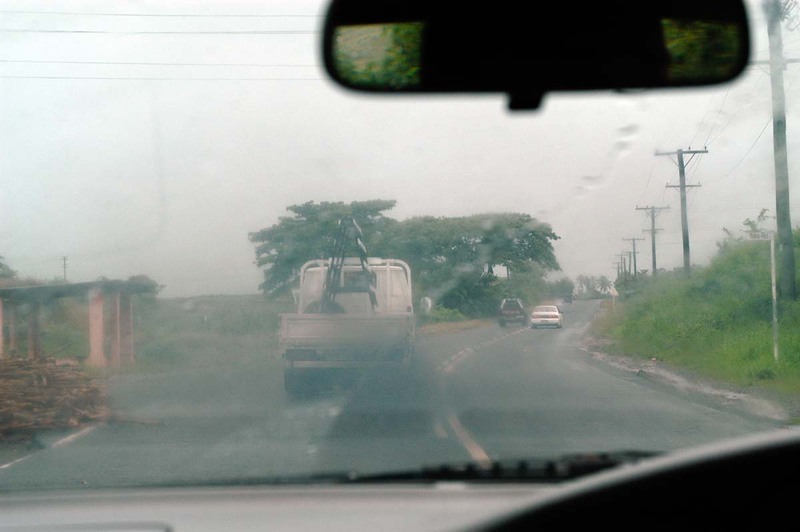 The empirical data collection was conducted in Viti Levu, Fiji, during June 2010. The data consists of eight semi-structured interviews and of additional data from the Ministry of Environment and the Ministry of Education. The interviewed educators represent formal, informal and non-formal sectors of educational field. The method applied for analysing the data was qualitative content analysis. The results reveal that the risks the educators identified were diverse and multi-faceted. They acknowledged that the risks related to climate change have environmental, cultural, psychological and economic dimensions. Their statements were often aligned with the research literature and showed great knowledge and understanding of the issue. According to the results, the causes of vulnerability were perceived to be human-induced. Unsustainable use of resources and contemporary lifestyle were perceived to be the reasons causing climate change. The responses from the interviews reflected different conceptions related to current adaptive capacity. On one hand a great need for national and international plans was recognised. On the other, current procedures were identified that enhance the adaptive capacity of Fijians. In addition, relying on traditional knowledge and values was understood to determine how Fijians adapt to climate change. The study reveals that the most important ways to address climate change through education in Fiji were by raising awareness, empowering teachers, mobilising people to take action and emphasising value education. In addition, the study presents that implementing a multi-sectoral approach to respond to climate change is necessary: initiatives must arise from the administrative level to each individual. This implies that educators from any field and in whatever position should consider how they can best support climate adaptation in their local contexts as education can play a key role in enhancing the adaptive capacity of a society. How could education lead to vehicle maintenance to reduce pollution? By Kirstie MÃ©heux kirstiemeheux hotmail.com on 16 September 2007. Lewis, J. 1982 (February). "A Three-Part Proposal: Three stages for natural disaster mitigation strategy: Integrated with socio-economic development at national, provincial and local levels". Prepared for the United Nations Environment Programme, full text: full text (7,981 kb in PDF). The file which contained this proposal included correspondence and a 'project document' prepared by UNEP, something that required official approval and commitment. Some months later, a file note by me recorded a conversation with someone in Geneva to the effect that "the UN Governing Council recommended UNEP to pull out of natural disasters". That was all the notification I had that the idea had come to an end! When, in 1983, I was asked to evaluate UNEP's disasters programme, I was able to state my view that the decision to 'pull out' would greatly diminish international conception and effort to reduce disasters (or words to that effect). It had all been a UNEP/UNDRO power struggle. McLean, R., T.P. Bayliss-Smith, M. Brookfield, and J. Campbell. 1977. The Hurricane Hazard: Natural Disaster and Small Populations. H.C. Brookfield (ed. ), The UNESCO/UNFPA Population and Environment Project in the Eastern Islands of Fiji, Man and the Biosphere Programme, Project 7: Ecology and Rational Use of Island Ecosystems. Development Studies Centre, The Australian National University, Canberra, Australia for UNESCO, Paris, France, full text (7,828 kb in PDF). 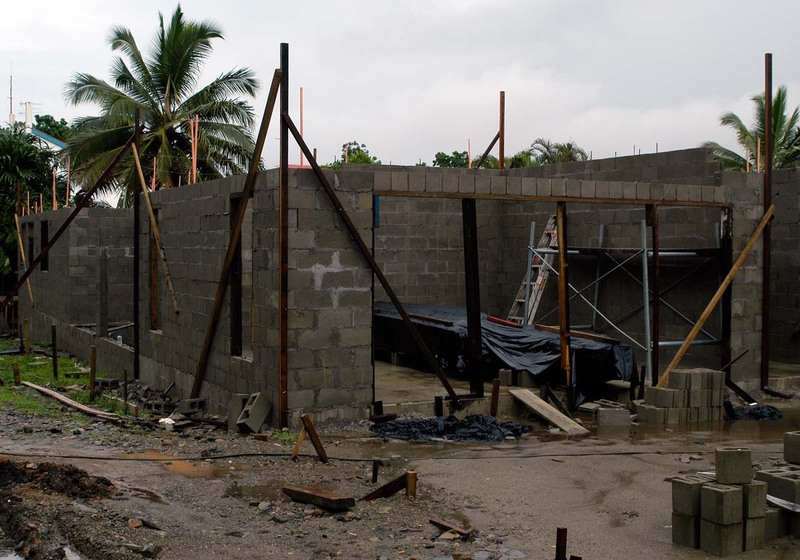 A house under construction near Suva: How disaster-resistant is it? What role did building codes and insurance play? In Fiji, the national stage show Tadra Kahani is developed by 6-19 year olds and their teachers by taking one United Nations Millennium Development Goal and dramatizing or choreographing its meaning. This approach reaches, in order, educators, youth, the youth's families, their wider community, the national level, and--by making it an annual tourist event and advertising it on board the national airline Air Pacific--visitors to the country. This idea could and should be emulated for disaster risk reduction themes. Here in Fiji, our school children always feature prominently during the annual national disaster awareness week, which is normally observed before the onset of the cyclone season which starts in November. The country has been observing this annual week-long event since 1990 with resounding success. This year the week will be observed from 24-28 September and again a special programme on 10th October to observe International Day for Disaster reduction. For the 2007 event the Disaster Preparedness Committee has set up three working groups including an Education Working Group to deal specifically with activities for school children ranging from poster, essay, quiz and oratory competition. This is supported by art, puppet shows, drama, the fire service smoke house, and media programmes focusing on school activities geared towards disaster reduction in the school. Last year, prizes were given to winners of the school poster competition and some winning posters will be laminated for displays. Last month, it was reported in the media that a 12-year-old girl saved her grandfather from their burning house after instructing her grandpa to do exactly what she was told during a demonstration of the smoke house by firemen at her school several days earlier. Last night we saw in the local TV news a group of primary school students who were involved in a conservation programme to preserve the local environment and to restore it to its natural state following recent development that destroyed flora and fauna. A fire safety guideline has been developed for schools which can be adapted to suit their own situation. Some schools have been involved in a number of earthquake exercises and fire drills and the schools concerned have developed their evacuation plans. Children are more enthusiastic than adults in using cyclone tracking maps distributed widely around the country by the National Disaster Management Office. They monitor cyclone development and movement and prompt parents and guardians to continually listen to the weather bulletins and to take the necessary precautions, which has improved public response to cyclone warning. Over the last four years, the National Disaster Management Office and Ministry of Youths are working jointly in training youths around the country on disaster education. Other agencies have been co-opted into the training programme. Through this training youths are able to develop their village and settlement disaster management plan. They have also been trained on hazard and vulnerability assessment and risk identification using the comprehensive hazard and risk management (CHARM) approach. At the end of the day they can use this approach as a basis for the identification of development projects and formulation of development plans for their villages and settlements. During training youths have demonstrated creativity and innovation and have tremendous potential to make significant contribution towards community development. With our new disaster risk management arrangements and the extension of the disaster risk management structure as far down as village level, we are promoting youths to drive disaster risk reduction programmes at the community level, of course with the support of senior members of the community. On the spiritual dimension, youths have become the driving force behind most local churches in terms of spiritual development and growth as well as welfare programmes in reaching out to the unfortunate lot in our society. Without doubt, our children and youths are creators for a better future and hope. 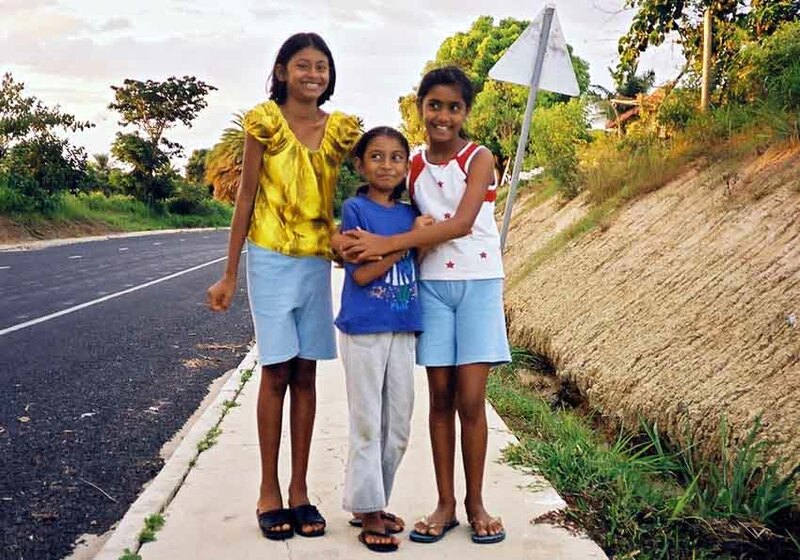 Children near Nadi, Fiji: Contributing to disaster risk reduction and sustainability.